The last time we talked to Nicola Butler was over four years ago. Back then she was 20 years old, had three world titles under her belt and was dominating the dojo. Who would have thought that four years later she would still be doing the same old thing on the water. If you look at any type of competitive women's ranking in 2016, you'll find this South African-born, Great Britain-raised and brand new American citizen at the top of the list with a "#1" next to her name. 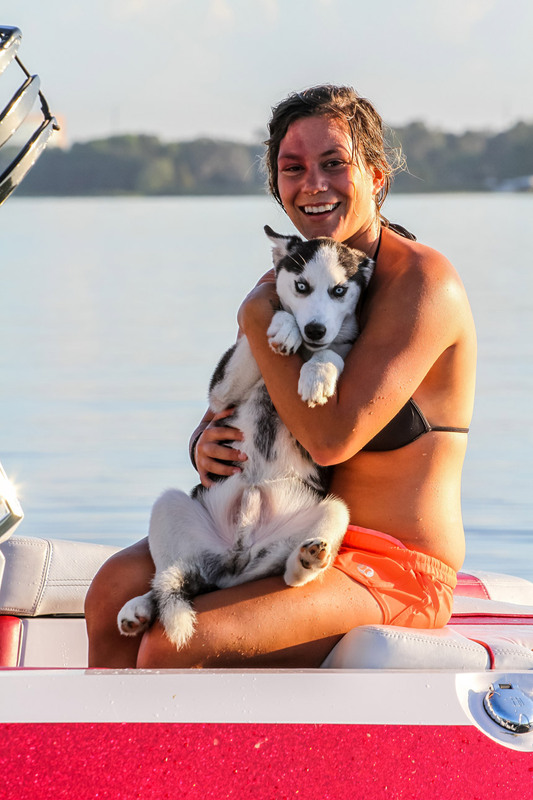 Read on to find out more about one of wakeboarding's most consistent and dominant forces and the changes in her life off the water. WW: How did 2016 go for Nicola Butler? NB: It was probably one of my favorite years ever! I fell in love, got a dog and won the WBWS Overall title and Malibu Overall title! Couldn’t have asked for any more really. WW: Where were you born, where did you grow up and how did you end up globe trotting so much as a kid? NB: I was born in South Africa and lived there until I moved to England at the age of 10. South Africa just became too dangerous for us to stay and we were able to get British citizenship through my grandfather. When I started pursuing wakeboarding seriously, we were traveling from England to Florida every few months so I could ride and train with Mike Ferraro. Eventually, it just made sense to make the move over. WW: What made you want to become an American citizen? NB: It has always been a dream of mine since I was 15 when I first moved to the States. It was a 7-8 year process, so once I was eligible I made sure to go through with it. Otherwise it would have all been for nothing. Now that I have my citizenship, I can grant my parents citizenship too, so that’s pretty cool. WW: You've always been a bit of a world traveler. Where did you go in 2016? NB: I started the year off in the Philippines at my favorite cable park, CWC. From there, I went to Bali for two weeks, which was absolute paradise. Portugal was also amazing. The Malibu stops were also really cool this year. We started off in Reno, then South Korea and finished in Dominican Republic. WW: Tell us about the rig in which you've been traveling the country. NB: My boyfriend and I bought a 1992 GMC Vandura off Craigslist and decided to gut it and make it into the ultimate surf-mobile! We named her Dolores. If you go to my Instagram you can see a four-part video of the renovation process! It was a really fun, challenging project and waking up with places like the Grand Canyon and Sedona as your backyard made it all worth it. WW: Who is Broc and how long have you two been together? NB: Broc is my boyfriend and we’ve been together almost a year! Loki is our love child, a little eight-month-old Husky pup. WW: Are you still editing videos? If so, can you give us some links to your recent work? NB: Yes! Mostly just little Instagram edits lately, but I’d love to pursue it more now that I have some downtime. Here’s one from the beginning of 2016. WW: What else do you do outside of wakeboarding? NB: Lately I’ve been more focused on shooting photos over video. I started my own photography blog (nicolaleigh.com) and I’m starting to get into engagement and wedding photography, which has been really fun! I’ve always loved capturing people and trying to tell their story. Now that I’m back on the west coast, I’ve been loving surfing and yoga. WW: What do you look for in a wakeboard? NB: I’ve always ridden a three-stage board that responds quickly. WW: What board are you riding for boat and cable? NB: Right now I’m riding the LF Witness on the boat and the TAO on the cable. WW: I heard that you're working on a new video. When can we expect to see that? NB: Yes, it’s a work in progress! It was difficult to stack clips last season with all the traveling, but as soon as it warms up I’m going to start filming more and hopefully produce something cool next season. WW: You've been doing some work for WakeWorld. How's that been going? NB: Great! I’m helping curate the homepage content and run the social media. WW: What do you think about the current state of wakeboarding? NB: It’s hard to say really. I think wakeboarding is definitely still progressing and guys are landing insane tricks, but we’ve also had some devastating injuries this year. WW: What about women's wakeboarding in particular? NB: It was great to be included in the WBWS last year and the prize money and support for the girls was bigger than ever. Unfortunately, there just doesn’t seem to be much sponsorship money right now though for the girls. 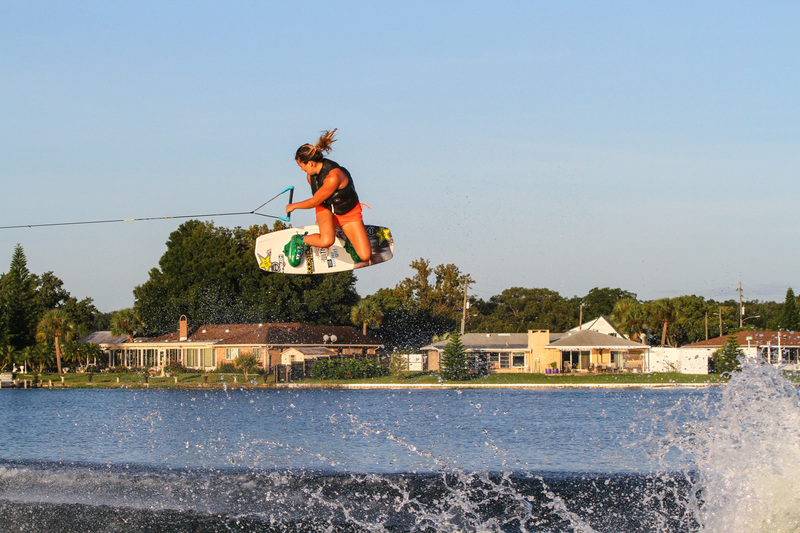 Some of the top female riders can’t rely on just wakeboarding anymore, which isn’t the case for the top guys. WW: What's the coolest looking trick you've ever seen and who did it? NB: I’d have to say Harley’s stalefish off-axis backside 180. He makes it look so effortless. WW: Four years ago you had a bad back injury at Nationals and you expressed a fear that it could be a long-lasting injury. Are you fully recovered from that slipped disk? NB: Yes, thankfully it hasn’t really bothered me since I finished the rehab. I worked hard to just use exercises to pull the disk back into place rather than have back surgery at such a young age. It still flares up on the long international flights, but nothing like it used to be. WW: What are your plans for 2017? NB: Work on this video part and pursue my photography/video making more! I’d love to make a full length film at some point. WW: You've accomplished so much as a professional wakeboarder. Is there anything else you'd like to check off of your wakeboarding bucket list? NB: The elusive Trick Of The Year! It’s the one award I haven’t been able to get. I submitted an Indy crow mobe this year, but Julia Rick’s toesdie back 9 off the kicker beat it…maybe next year! WW: Is there anybody you'd like to thank? NB: Thanks WakeWorld for the interview! My family, friends and Broc for all the support this year and always. Rockstar Energy for the continual support, The Young and Brave Foundation and BuyWake!